The woodwork project consisted of 8 weeks of workshops, which was initially started by Newydd Housing Association. 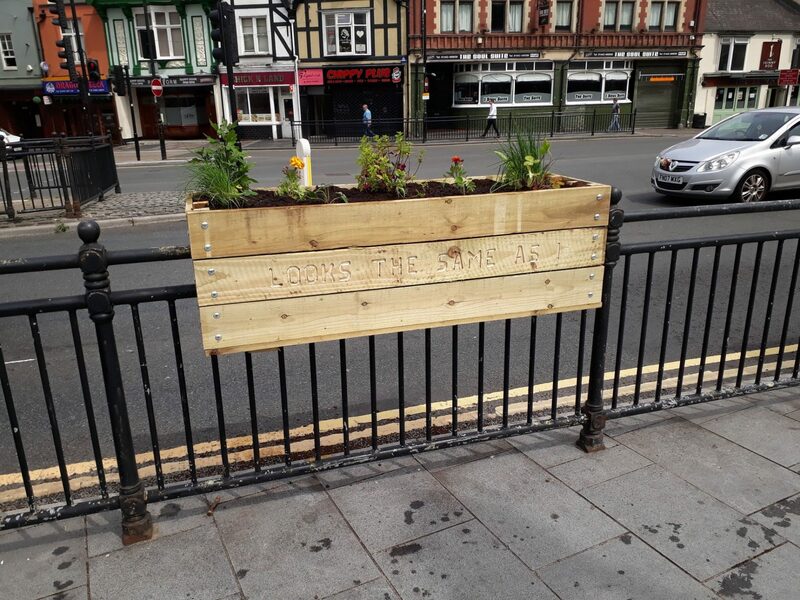 They approached the Youth Engagement and Participation Service at Hawthorn High School to ask if they could support these workshops and help engage with the young people to construct the planters to improve the look of Pontypridd and to help give something back to the town centre. 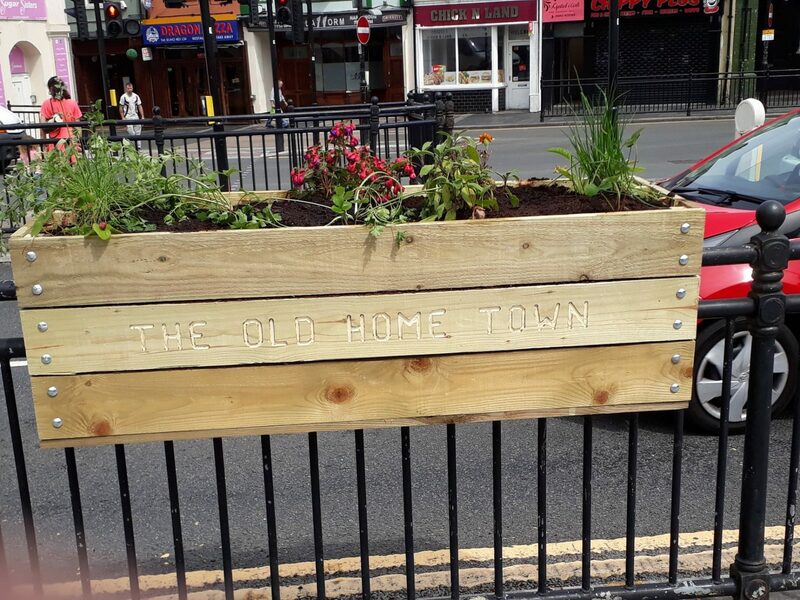 During Extended Provision in the evening, the young people at Hawthorn High School had the opportunity to attend the workshops and had the chance to make the planters to go up around the Pontypridd area. 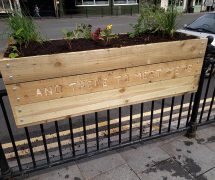 The young people attending the woodwork project were from a range of backgrounds and of mixed abilities. Both boys and girls attended of all ages, most of them being from the Hawthorn/Rhydyfelin area. When they were all in the room, they came together as one helping each other and it was such a welcoming environment to be a part of. 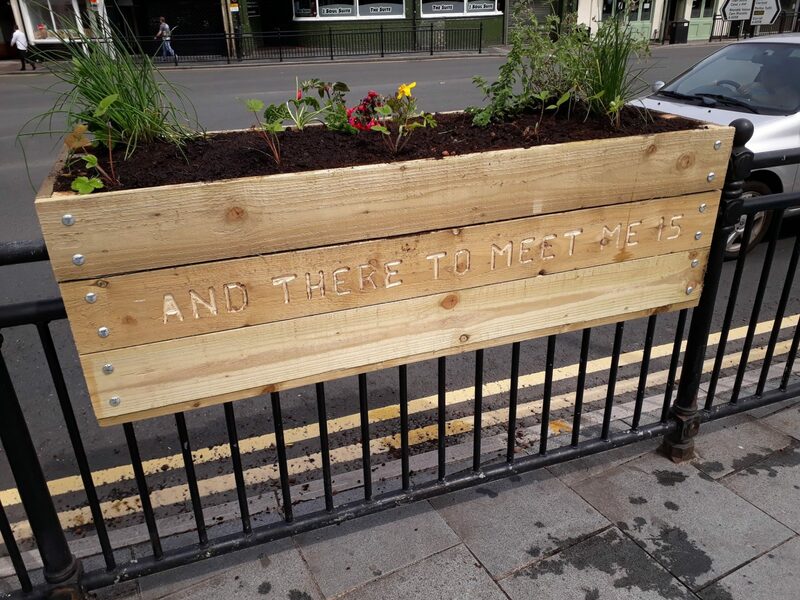 We even had a Young person attending from Ty Coch who put his heart and soul into the making of the planters and was welcomed by all. Cut pieces of wood to different lengths to make the back, front, sides and bottoms of the boxes. They then had to drill pilot holes to fix the sides to the front and back of the boxes with nuts and bolts. 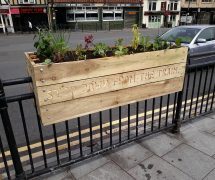 They also had to drill holes to fix the boxes to the railings once they had been assembled. Once the holes were in place they could then start assembling the boxes using nuts and bolts, this usually took two people, a drill and a lot of concentration. Once the sides were attached to the front and back, the bottoms had to be screwed on. By this stage, the boxes were starting to take shape and the young people could see their work coming together. 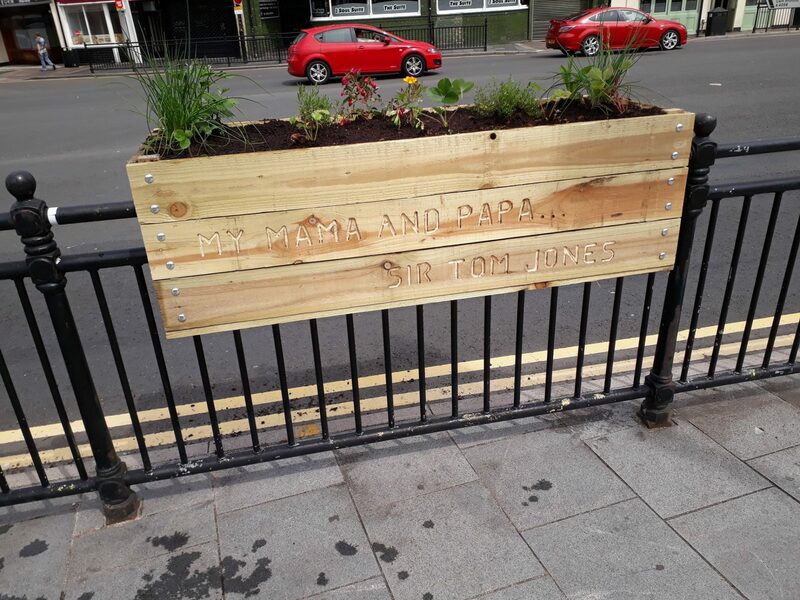 Once they were written on, they were sanded down to make them smooth with no rough edges or splinters and were ready to go up in Pontypridd Town outside of the Train station. 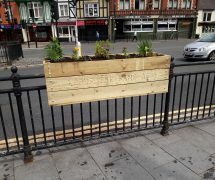 The other boxes that were created were installed over different parts of Pontypridd town. 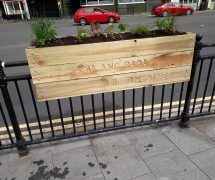 The planting and putting up of the boxes was done with the help of the all young people attending the Woodwork Project. 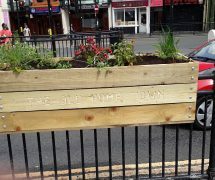 The Planters were put up on the 18th July 2017 outside of the train station, and the 19th July 2017 the other planters were placed outside of the different businesses named in this article. 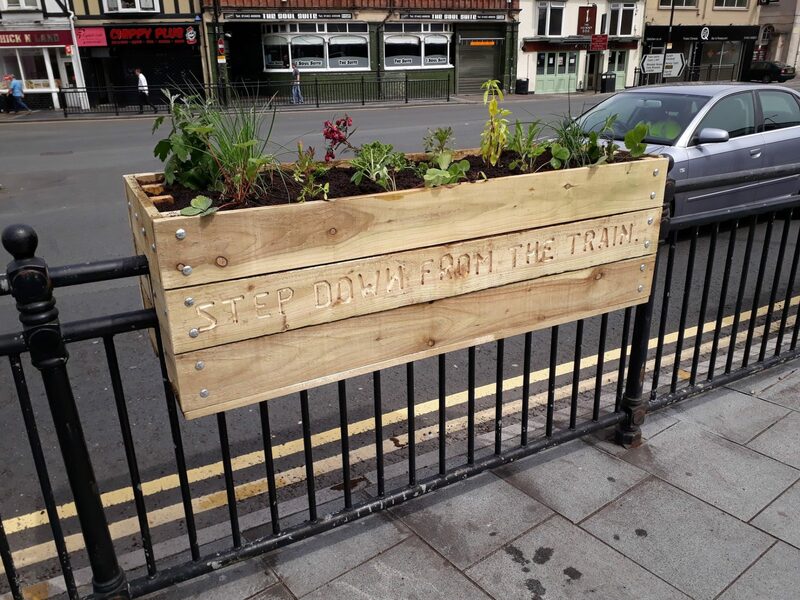 Although the planters placed outside of the train station have been taken down, they have been placed in storage and there are discussions about where they will be placed in the not so near future, so keep your eyes peeled! 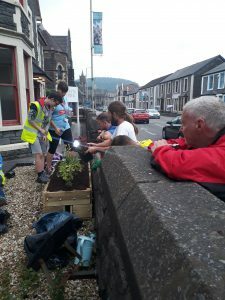 The funding for the Woodwork Project came from Your Pontypridd Business Improvement District, which then allowed EggSeeds to come in and work closely with the young people and provide them with the skills they needed to construct the boxes. Lastly, I would like to say thank you to all young people Involved in this project and I hope they will continue to grow and develop into even greater people than they are today. Also, I would also like to thank the partners, providers and facilitators, as without them, this never would have happened.